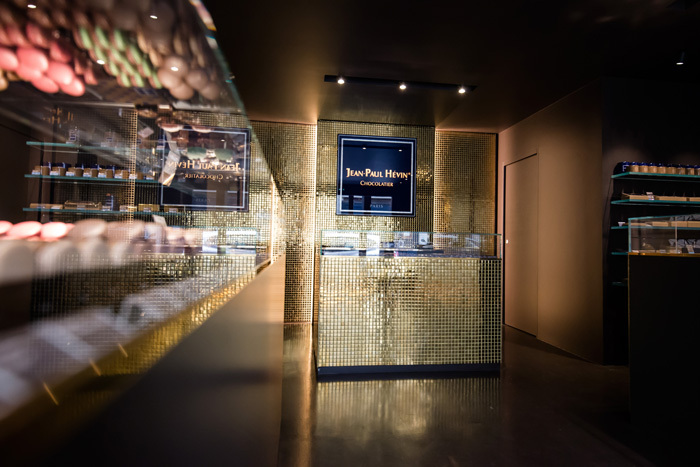 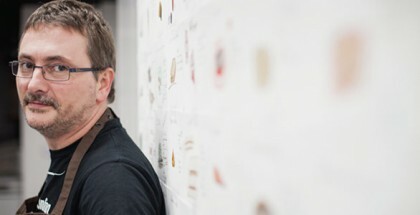 Jean-Paul Hévin has recently opened a new boutique in Paris, at 108 rue Saint-Honoré, very close to the Louvre Museum. 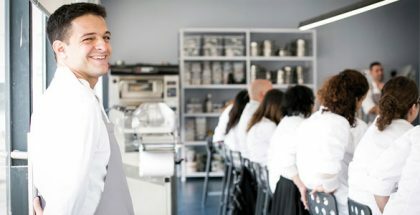 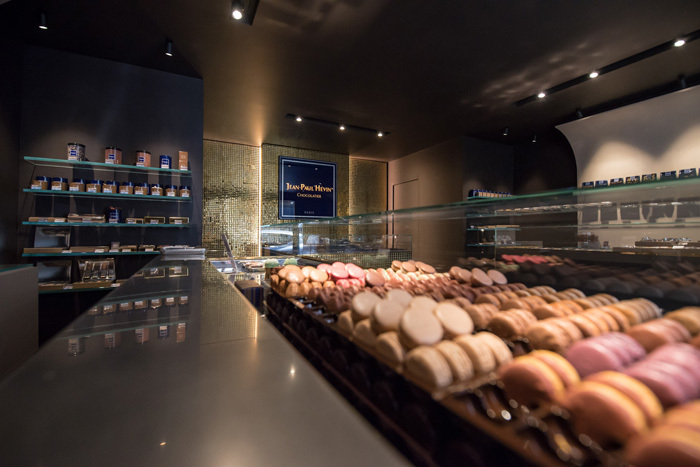 With this inauguration, the well-known chocolate chef now has six establishments in the city of love. 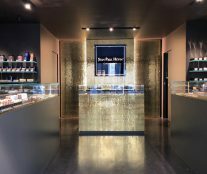 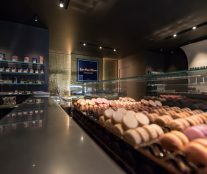 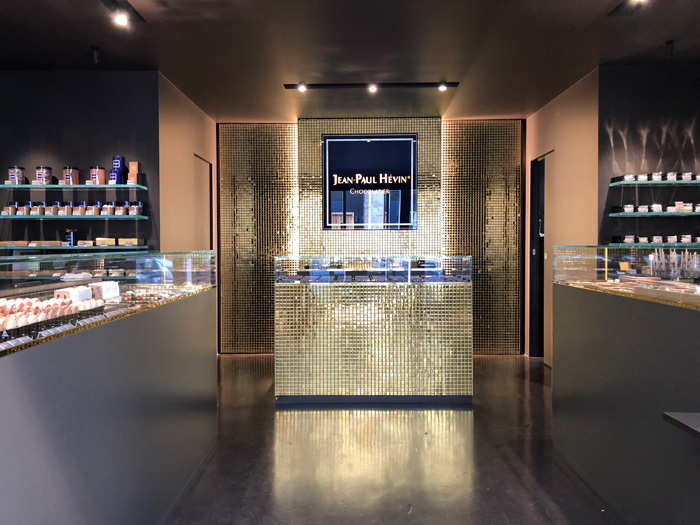 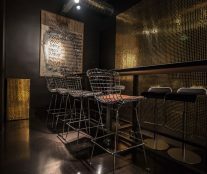 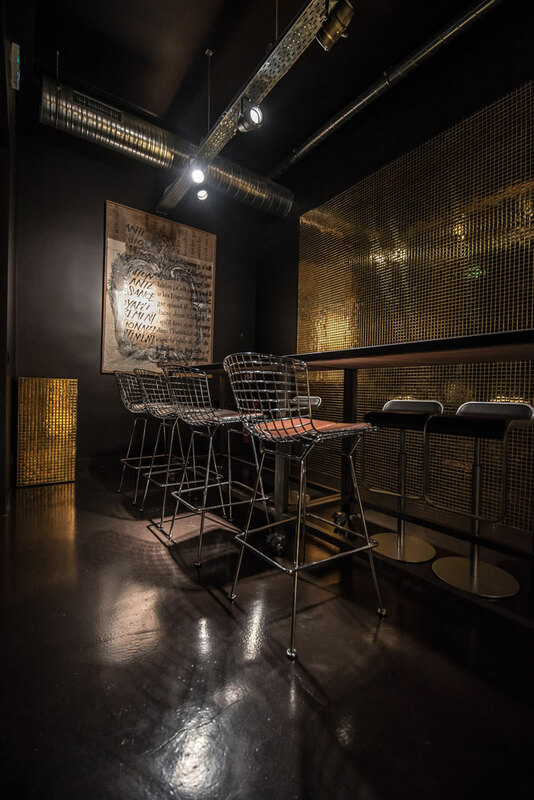 Designed by Jean Oddes and Cabinet Graft, the shop offers two distinct spaces: a chocolate cellar preciously sheltering his latest creations and a tasting area where Hévin invites you to enjoy his innovations. 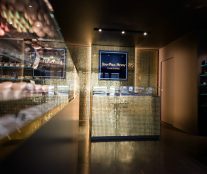 A 65 m2 space of exchange and discovery around chocolate, decorated in dark chocolate tones and a golden mosaic -the usual shades of the Maison- where the visitor will find chocolate boxes, chocolate bars, pastries, macarons, frozen desserts, candies, and a selection of jams and honey.